Did you know that the quality and value of provided by any private auto insurance carrier varies greatly from state to state? What is the quality and value of your current big-name auto insurance policy? Let us help. Call us here at Tristate and have an insurance professional who understands all competing insurance company offerings within your state personally consult you. This is the primary reason why an independent personal auto insurance agent (such as us here at Tristate) is willing and able to provide you such the research to secure for you the very best coverage at the most valued pricing. You’re covered for medical expenses arising from an auto accident, for you and qualified family members, regardless of who’s at fault. This coverage also pays a predetermined portion of your lost income; a specific amount for essential services the injured person would normally perform without pay; and medical expenses for other people injured in your car. 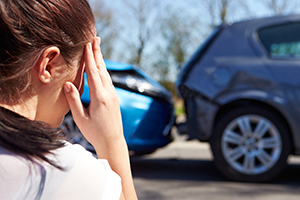 This coverage pays for bodily injuries to you, qualified family members, or other person in your car, caused by an uninsured motorist or a hit-and-run driver, if that driver is liable. Uninsured Motorist limits may be increased up to the same limits carried for Bodily Injury. This coverage pays for damage to your car except when caused by collision or upset. Includes damage from fire, vandalism, windstorm, sandstorm, falling objects, animals, water, flood or theft. Pays up to the actual cash value of your vehicle, less the deductible you select.